Easiest Escape Doors Ever [Level 15] Cheats, Solution, Walkthrough for Android, iPhone, iPad, iPod. Note: This is "Easiest Escape Doors Ever" by "CM STUDIO"
You have to put each image under the year that was invented. 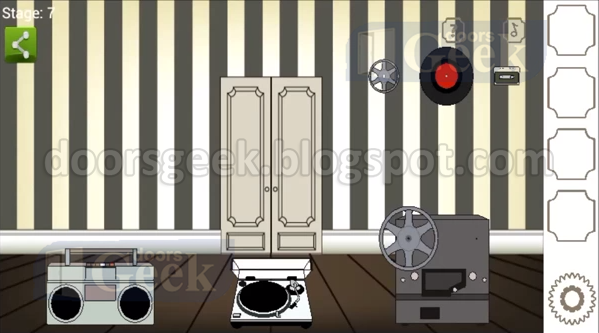 Easiest Escape Doors Ever [Level 14] Cheats, Solution, Walkthrough for Android, iPhone, iPad, iPod. Easiest Escape Doors Ever [Level 13] Cheats, Solution, Walkthrough for Android, iPhone, iPad, iPod. Easiest Escape Doors Ever [Level 12] Cheats, Solution, Walkthrough for Android, iPhone, iPad, iPod. Easiest Escape Doors Ever [Level 11] Cheats, Solution, Walkthrough for Android, iPhone, iPad, iPod. The chairs have a number of diamonds on the. 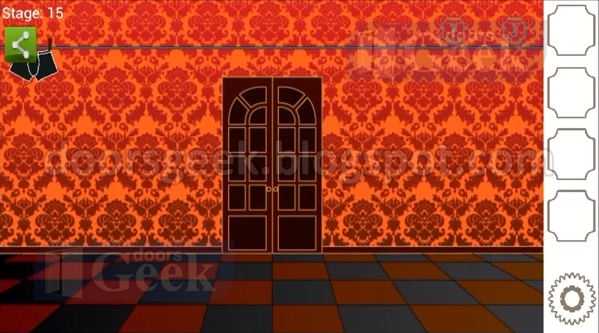 Easiest Escape Doors Ever [Level 10] Cheats, Solution, Walkthrough for Android, iPhone, iPad, iPod. Easiest Escape Doors Ever [Level 9] Cheats, Solution, Walkthrough for Android, iPhone, iPad, iPod. Easiest Escape Doors Ever [Level 8] Cheats, Solution, Walkthrough for Android, iPhone, iPad, iPod. Easiest Escape Doors Ever [Level 7] Cheats, Solution, Walkthrough for Android, iPhone, iPad, iPod. Easiest Escape Doors Ever [Level 6] Cheats, Solution, Walkthrough for Android, iPhone, iPad, iPod. Easiest Escape Doors Ever [Level 5] Cheats, Solution, Walkthrough for Android, iPhone, iPad, iPod. Easiest Escape Doors Ever [Level 4] Cheats, Solution, Walkthrough for Android, iPhone, iPad, iPod. Easiest Escape Doors Ever [Level 3] Cheats, Solution, Walkthrough for Android, iPhone, iPad, iPod. 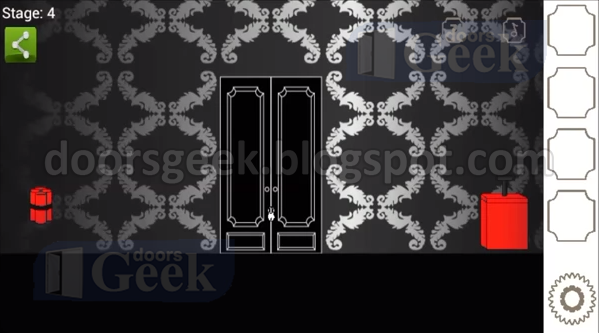 Easiest Escape Doors Ever [Level 2] Cheats, Solution, Walkthrough for Android, iPhone, iPad, iPod. Easiest Escape Doors Ever [Level 1] Cheats, Solution, Walkthrough for Android, iPhone, iPad, iPod. 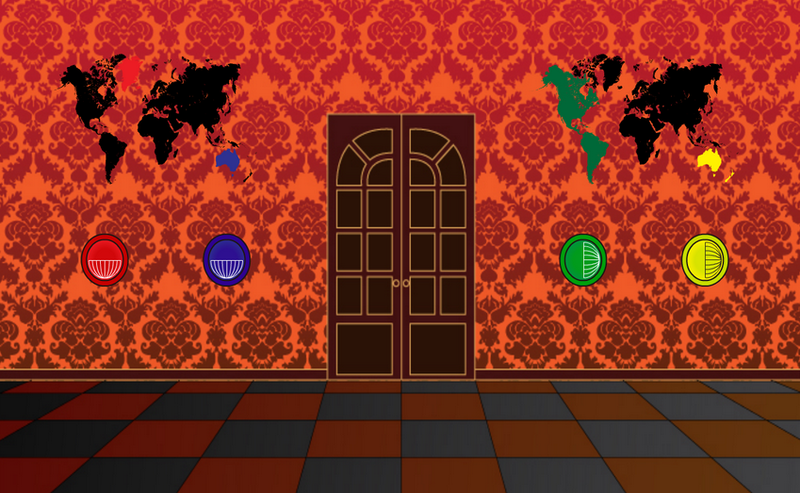 Easiest Escape Doors Ever is one of the easiest room escape game you can find. It is for somebody who is new to this kind of games, and after they play it they will be hooked to escape games. The levels, as i told you, are fairly easy, but if you have trouble with some of them, you will see the solution below. Now go to the big clock and set it to 10:10. You will find inside a note with some numbers: 3, 5, 2, 1, 4. Use them to open the container with the white boat. You will find inside 2 blue batteries. 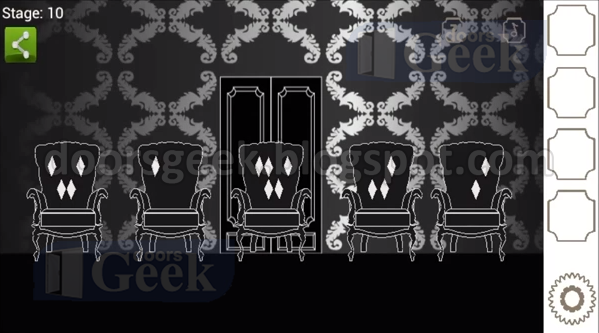 Escape: Mathematician's Chamber Cheats, Solution, Walkthrough for Android, iPhone, iPad, iPod. Note: This is "Escape: Mathematician's Chamber" by "WaveA PTE.LTD." Tap the drawer with the code lock and enter: 4037. Take the small red bottle and open it by tapping on it in the inventory. You will get a pile of powder on a piece of paper. Inside the drawer there is a golden key. Use it to open the box inside the bottom shelf of the right cabinet, behind the books. Inside there is a white handkerchief, and on it is drawn a key and the letters "M.H"
The Trap of Betrayal Cheats, Solution, Walkthrough for Android, iPhone, iPad, iPod. Note: This is "The Trap of Betrayal" by "WaveA PTE.LTD."